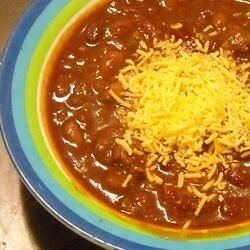 "Thick and spicy chili. Coffee and beer give this chili a unique and dynamite flavor. Garnish with shredded cheese and diced chile peppers."